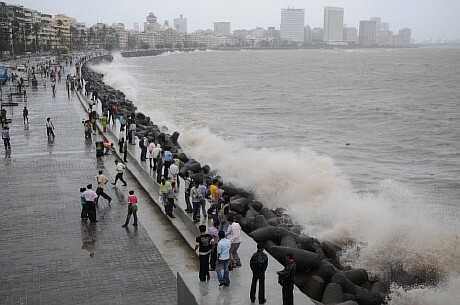 A trip to Mumbai would be incomplete if you miss you visit, the marine drive on South Mumbai. It is a C shaped stretch of 3.5 km along the coast coastline forming a bay. This wide road with palm trees lined on either side joined the Nariman Point to Babulnath and is situated at the foot of Malabar Hill. Officially known as Netaji Subhash Chandra Bose Road (rarely used name), a promenade lies parallel to this road. People come in large crowds to stride along the beautiful walkway and to view the amazing sight of sunset. It is an enthralling experience to see the sun setting into Arabian Sea while the waves crash against the huge sea rocks. 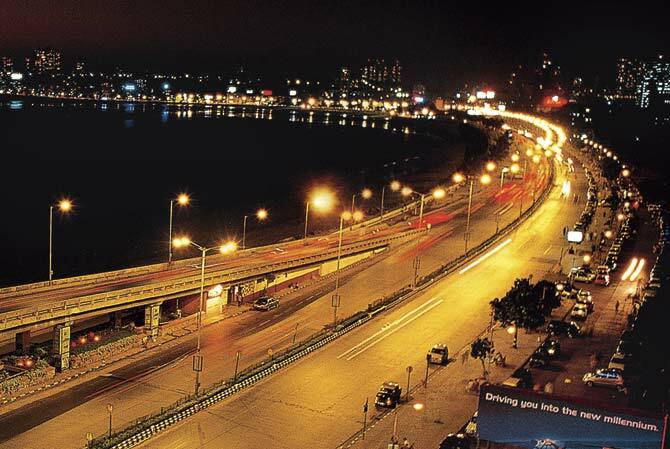 Marine Drive is also known as the Queen’s Necklace as it looks like a necklace during the night time with street lights on the road resembling a string pearls (when viewed from an elevated point). As you walk along the northern end of the Marine Drive, you’ll spot Chowpatty Beach, one of the oldest seafronts of India. The beach is known as for its bazaars and meals. This place looks lively with several vendors striding across the beach to sell various eatables. The most famous snacks of the place is Bhel Puri. Other stalls featuring Paav Bhaaji, ice cream, chaat etc are set up daily. Chowpatty beach is best to visit at Ganesh Chatturthi which the place becomes all the more delightful along with the stall of Bhel Puri. There are several restaurants lined up on the streets of the road. Further down this road is located the posh neighbourhood of the city, Walkeshwar. The area derives its name from the famous and highly revered Walkeshwar Temple. The drive is dotted by many hotels out of which the most prominent are – 5 Star Hotel Oberoi, the International, Hotel Marine Plaza, Sea Green Hotel and many more. There are Art deco buildings built by wealthy Parsis in 1920’s and 1930’s adding to the beauty of the drive. There are tetrapod shaped rocks bordering the Marine Drive to dissipate the force of incoming waves. These tetrapod rocks also add to the beauty of Marine Drive. 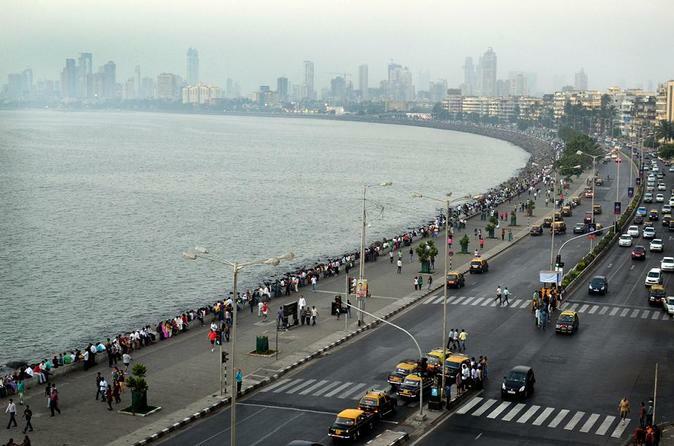 Marine drive is a perfect hangout place for all age groups, being considered as the best pathway for evening strides. 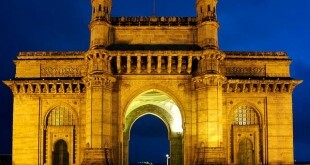 Without an evening walk on the Marine Drive the visit to Mumbai is vain. On the northern fringe of the drive at Chowpatty beach the view of a lively one with children, couples, friends hanging out to relax after tiring day and vendors selling various items. You can treat your eyes with the majestic Arabian sea and simultaneously relish your taste buds with some amazing eatables. Over the years, several events have been hosted along the walkway of the drive including Bombay Marathon (every year), IAF Airshow (2004), French festival (1998), International fleet Review (2001), Republic Day parade (2014), it alai holds several beautiful projects in channel including open air galleries and an improvised promenade at Nariman point. Due to the uniqueness of the place and the presence of exclusive hotels and buildings the real estate value of this walkway is one of the highest in India. It houses various celebrities and hence is phr of the premier residential communities. 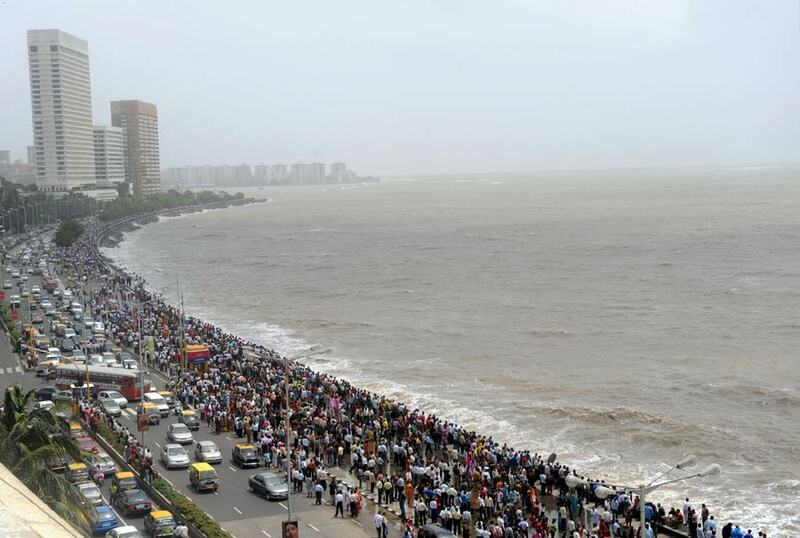 Marine Drive (Netaji Subhash Chandra Bose Road) is located in South Mumbai on the coastline of Arabian Sea in the state of Maharashtra. Due to the location of the drive in the centre of Mumbai city, it is very easy to access the place by all means of local public transportation from any point of the city. 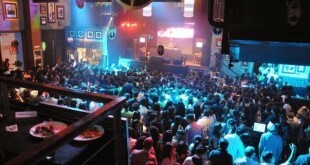 Mumbai is a metropolitan city and the capital of Maharashtra and also the house of Bollywood which makes it rather more easily accessible. There is no entry fee required to visit the place. The drive can be visited at any point of time. 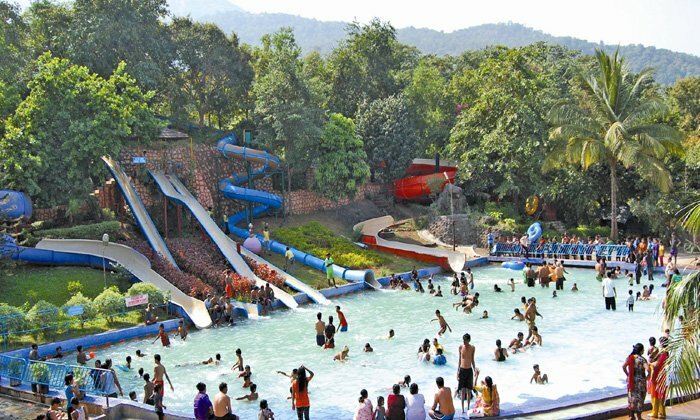 During the period from November to March, Mumbai has a very pleasant climate (post monsoon weather) hence it is best to visit the place during this time. Few people wish to visit the place during monsoon due to their liking towards rains.